UX Designer and Drupal for Designers author Dani Nordin will share techniques she has used to help web teams uncover the true needs of their audience and create better projects. She'll explain how to combine existing research data with fresh insights from user interviews and contextual inquiry to influence the design process early and often. Entrepreneurs seeking a better understanding of their customers. Dani Nordin helps Drupal teams organize, gather requirements for, and understand the content and users of complex projects. In addition to speaking about UX and Drupal around the country, Dani also teaches the User Experience Design course at General Assembly in Boston. 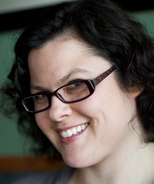 She wrote O'Reilly's Drupal for Designers (2012) and also is one of many authors of The Definitive Guide to Drupal 7 (Apress, 2011).